Similarly, individuals lose confidence at work in their working places and while participating presentations during academic sessions in the universities. People wish to have brighter and whiter teeth in order to feel confident and appealing during smiling, talking, speaking and laughing in everyday life. Your own 24 hours emergency cosmetic & restorative dentist Dr William C Gardner at NM Family and Cosmetic Dentistry PC has got the specialized training and expertise in performing state of the art professional teeth whitening treatment procedures for patients visiting the dental office. He also provides valuable information to his patients regarding at home management tips and prevention strategies against staining and discoloration of teeth. Get in touch with dentists at Try Albuquerque New Mexico. Q. 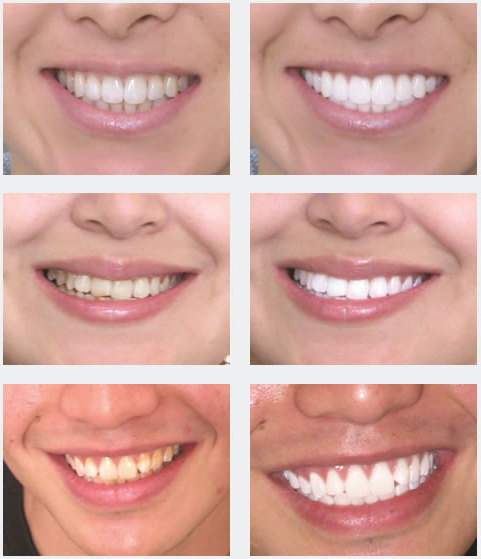 WHAT ARE THE VARIOUS TEETH WHITENING METHODS? • Professional teeth whitening procedures performed in the dental chair within the dental office. 24 hours emergency cosmetic & restorative dentist Dr William C Gardner performs state of the art teeth whitening treatments using innovative, time tested and safer teeth whitening gels. Professional teeth whitening gels are high potency formulation for producing quicker results and should not be used at home. Your cosmetic dentist will thoroughly examine and evaluate your teeth and surrounding soft tissues before commencement of the procedure. • Over the counter formulations are available in the market which contain low concentration gels, strips, gums, tooth pastes and brush on whitening products. Get in touch with your cosmetic dentist before using these whitening products. Call dentists at Try Albuquerque New Mexico. Q. ARE THERE ANY RISKS OF TEETH WHTENING? Sensitivity and gum irritation depends upon the expertise of the dentist, concentration of bleaching agents, duration of gels applied, heat used for activation of bleaching agents and technique used. Our dental health care professionals use gum protection barriers for the ultimate protection of soft tissues. Gels containing desensitizing agents are in use in our offices. Patients can also use this as they take home bleaching trays. Regular follow up and touch up visits is vital for managing relapse. Q. HOW LONG WILL TEETH WHITENING LAST? A. Teeth whitening effects last from approximately 6 months to two years and do not depend upon the method or the products used. Regular follow up and touch up appointments is necessary. Regular oral hygiene measures and keeping dietary habits in check can result in longer whitening effects. Call now for dentistry at Try Albuquerque New Mexico.